Terrazas de Punta Fuego is located in the first class municipality of Nasugbu and is an exclusive resort club. 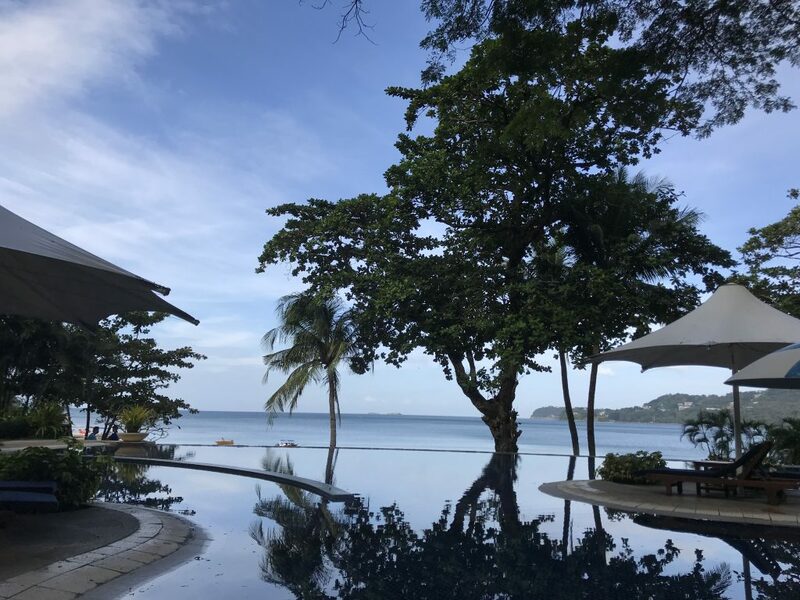 It features apartments, restaurants and beachside bar, a sensational cascading infinity pool called the “Turtle Pool”, which overlooks the bay, Balinese style cabanas which surround the pool, a yacht club, water activities and a beautiful scenic boardwalk along the beach. The main feature of this resort is definitely the fine white sand beach that stretches for nearly one kilometre. The sand is very clean with no rocks or seaweed anywhere and the water is very clean and clear also. It really is a sensational beach destination. Terrazas de Punta Fuego is only about a ten minute from its sister property, Club Punta Fuego. 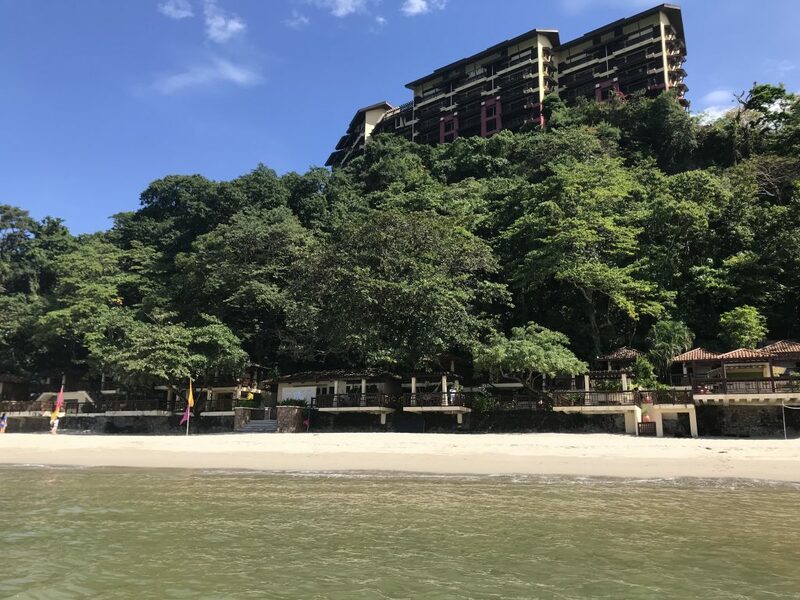 As I have mentioned throughout my website and blogs there are a number of things to do and visit in the Nasugbu area. Terrazas de Punta Fuego is but just one of these places. Being such a close drive from Manila, it is also an ideal location for a romantic beach wedding. The cove that the resort is set in offers a level of protection from the elements. The scenery is also sensational to have photos taken. If you wish to visit any of the aforementioned facilities, you need to be accompanied by a member. However, you are able to stay at the apartments as a non-member which also gives you full access to all the facilities. Being so close to the water and beach, and with all the facilities you need at your fingertips, you do not need to leave the resort. Luckily for me, I have a friend that is a member. The irony is, we can see Terrazas de Punta Fuego from the balcony of his holiday house in Maya Maya. 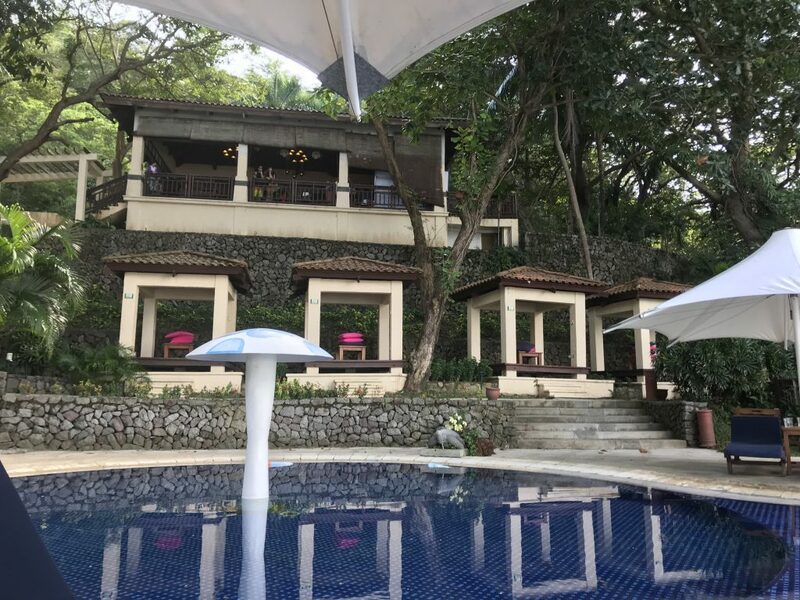 We have been looking at Terrazas de Punta Fuego for the best part of a decade and I have not been there until this occasion! For more information, you can contact the resort direct. For an even better view of Terrazas de Punta Fuego, you can also check out my Vlog to learn more. An awesome view of the pool overlooking Nasugbu Bay. A great way to relax by the beach. These poolside cabanas are used for relaxing massages. It’s pretty hard to get stressed out in this sort of environment. This was our cabana for the day. You can see the hammock hanging the foreground which copped plenty of use. 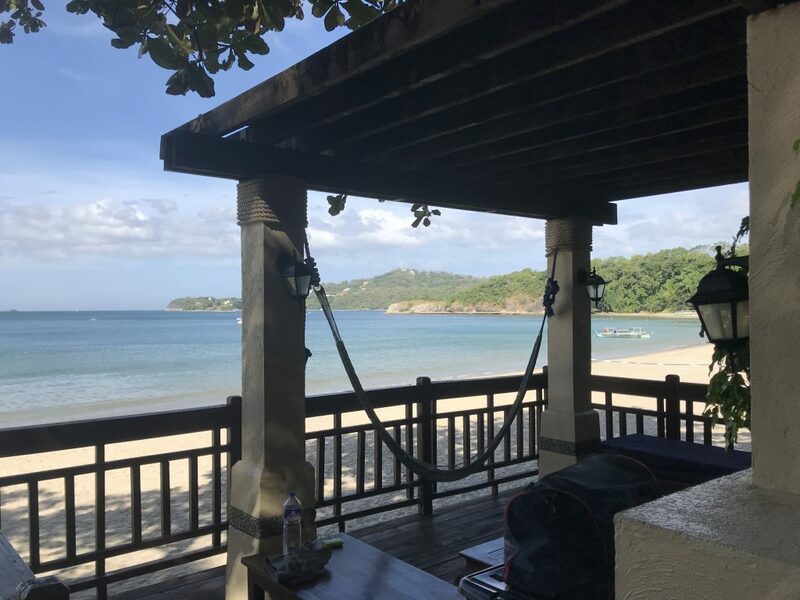 This was our view from our cabana overlooking the beautiful white sand. A view of the apartments from the water. You can see the cabanas lining the beach in the foreground. Click below for my vlog about this paradise only two hours from Manila! 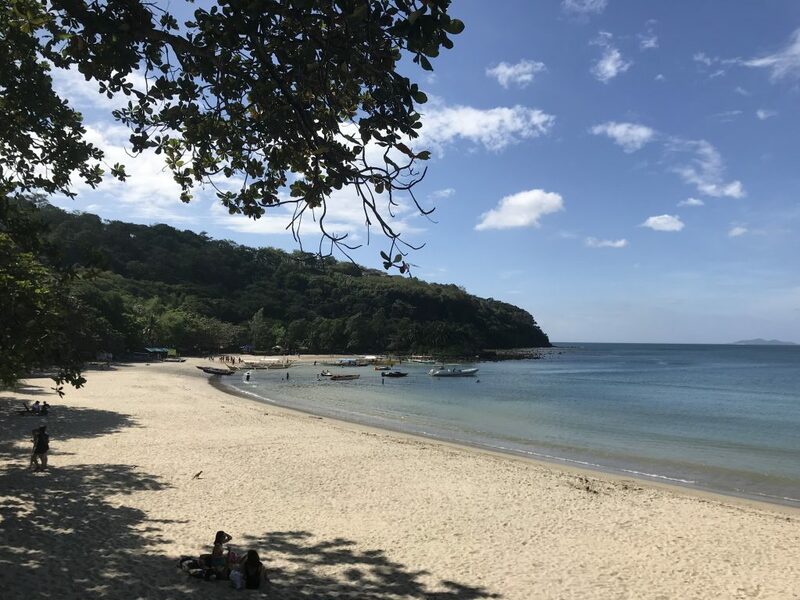 Terrazas de Punta Fuego is located about 95kms south of Makati and is approximately a 2.5 hour drive via the coastal road through Cavite, which can reduce travel time by up to an hour. This route is about 12kms less in distance and is a good alternative with some great coastal scenery. Terrazas de Punta Fuego can be accessed via SLEX and via the Sta. Rosa exit. Once you reach Tagaytay-Calamba Rd, drive all the way through Tagaytay to Nasugbu until you hit the coast, then drive north up towards Maya Maya. If you have time, you can stopover in Tagyatay for a coffee or lunch and take in the views of Taal Volcano. You can easily find Terrazas de Punta Fuego on Google Maps or Waze. Several bus services are available, but from Buendia JAM Bus Terminal in Pasay, take a bus bound for Nasugbu. This will drop you off in Nasugbu Town Proper. Cost one way should be less than P200. From there, if going to Terrazas de Punta Fuego, it’s about 10kms and you will need to take a jeepney which will take about 30 mins and cost less P50. 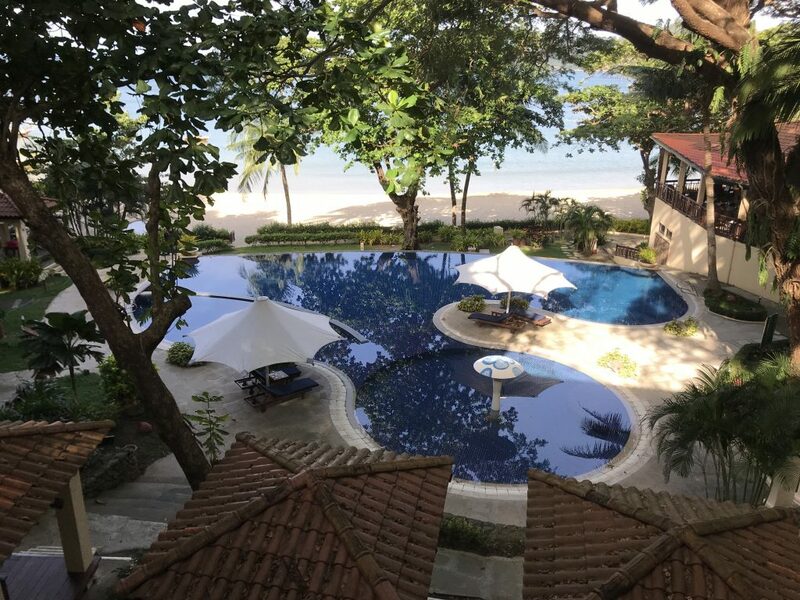 Terrazas de Punta Fuego has everything you need for watersports and relaxation, so you don’t even need to leave the place. Being less 100kms from Manila, it’s fairly easy to leave Manila on a Friday night, and then return to Manila Sunday night, giving you two full days to enjoy this spectacular place. If you are pressed for time, you could even do this with a day trip and it would still be worthwhile.